How The Development Consultants Are Helpful In Architectural Construction Project Management? The professional real estate development consultant directly works with different companies or organizations for developing real estate structures. The ultimate aim and responsibility of a real estate development consultant is managing the entire process of real estate development right from the initial phase through execution. 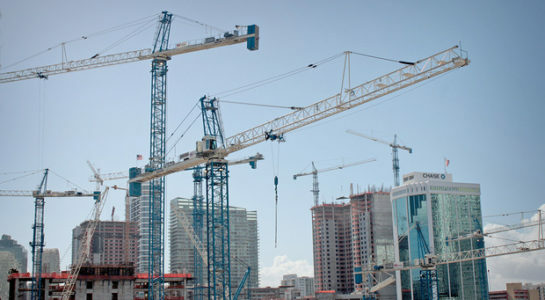 Different organizations can benefit from the consultancy services provided by construction development company in Miami. Engaging a real estate development consultant in different construction projects the organizations can be relieved from the stress of constructing structures which is indeed an infrequent activity for them. Generally the organizations lack internal capabilities as well as knowledge, skills and time for developing a real estate structure. Engaging the building development construction consultants in Miami for construction projects is a cost effective method for the organizations. Working with the property owner, the consultants become leader of the project. Though the development consultancy takes the entire responsibility of the real estate development project the owner retains the ultimate decision making authority. The consultants coordinate the project development work with the entire team and serve as the central communication point. The consultants will advise the owners to take appropriate decisions. The consultants handle a number of specific tasks independently and lead the other design and construction professionals on the team. Identifying and evaluating the property purchase process and assist for negotiating the property purchase value. Properly calculate the capital and operational costs. Assist with the financing and the negotiation terms. Monitoring the project development process and concept. Assisting for organizing the property management and life cycle of the building. Real estate development projects are quite daunting to manage and execute. With the help of the dedicated development consultant, the organizations are better protected through the course of the project, both financially and legally. The consultants are helpful in achieving maximum value and the mitigating the several risks with the construction throughout the project. The development consultants are committed to ensure the optimal strategy of the construction process. The consultants responsibly is to provide strategic direction and support the implementation of real estate development projects and protect the interests of their clients. In short, if a company or organization is not fluent in real estate development, design, or construction, a dedicated management professional is essential. While originating from various professions, a development professional is fluent in various trades and how these components of the process overlap and interact. This experience like in any other profession leads to insights and efficiencies, not necessarily evident to clients, but can be invaluable to the project.